Join us for a beautifully curated three-course prix fixe during this year’s Summerlicious festival. Choose from some of our favourite warm-weather mains, including fresh Manitoulin Island Rainbow Trout and a vibrant Chimichurri Sirloin. $18 for lunch and $28 for dinner. Exclusively available at our Front Street location from July 7th - 23rd. Clock out, then clock in at Canyon to try a different drink deal every day of the week. Muskoka Detour, Beringer Wine, and a Foxy Lady Cocktail are just a few of the drinks you can enjoy for a special price. Come savour three courses of seasonal fare carefully crafted to lift your spirits. 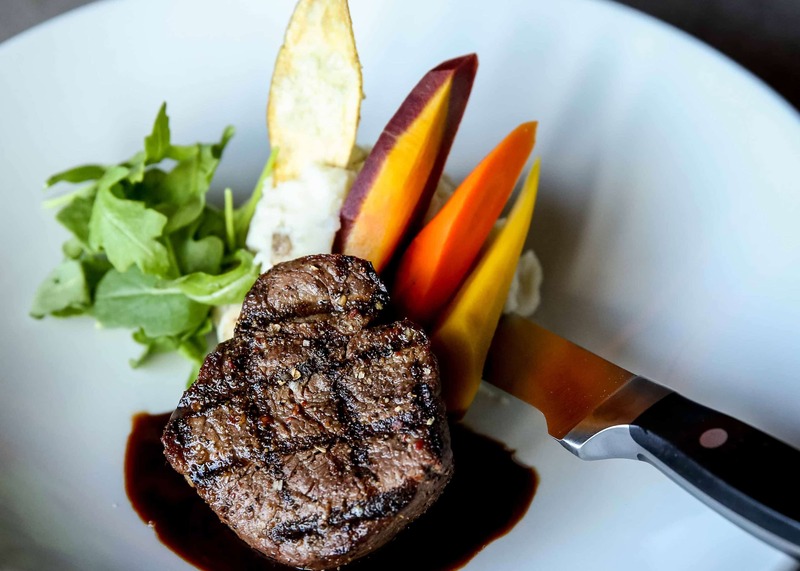 Our prix fixe menu offers your choice of the finest meats, freshest fish, and most indulgent desserts. Yours to enjoy every day for $37 at selected locations. Now at all locations, we're featuring a new lunch menu including dishes like our Southern Chicken Sandwich and Peruvian Crispy Chicken Bowl, starting at just $12.95. Get more lunch in an hour. Welcome to the Club. Our exciting new offers and rewards program is filled with delicious deals. Just like this one: join the Canyon Club today and receive $10 off $30. * And this is just the starter.